Ancient Greece preferred their gods to take exceptional human form, so Ptolemy I created Seapis by merging Apis, the bull, with Osiris, the castrated. Isis already had a human appearance and her marriage to Osiris shifted to Serapis. Isis compares to the mother and daughter combo of Demeter and Persephone. 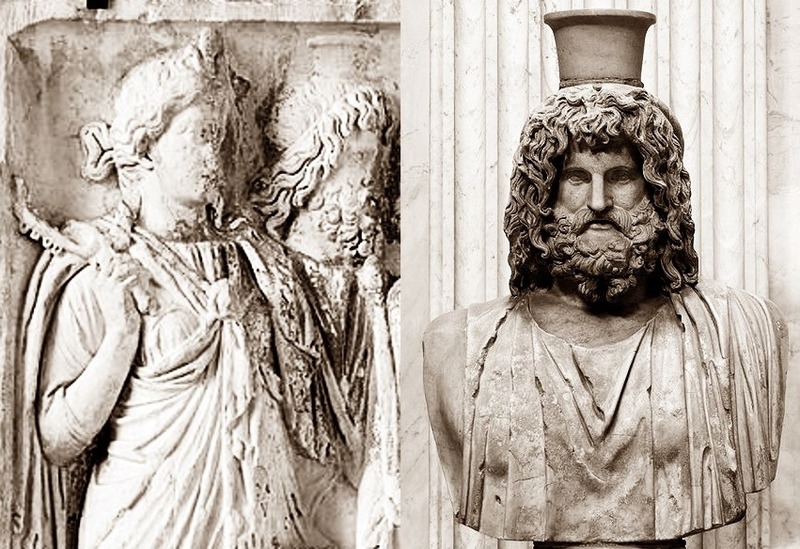 Isis and Serapis had a large cult following in Rome. The destruction of the Temple of Serapis at Alexandria signifies the destruction of Paganism. Serapis is similar to Dis Pater and all the links, to this Egyptian, god combine to make him the centerpiece of my novel’s mythology. I prefer Ptah, the original god linked to Apis..
Sumerians gave us our oldest written records, so Dragon Queen crown belongs to Tiamat. 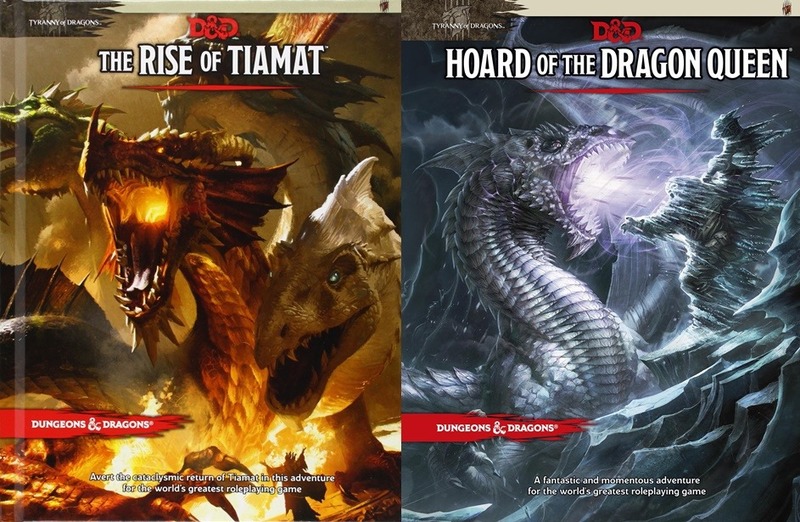 The makers of these D & D picked up on something quicker than I did – Tiamat is noteworthy. The Game of Thrones have a dragon queen, for a reason. The Japanese specialize in this area of mythology and own some cool stuff. The hero versus the dragon classifies as a universal myth; Tiamat versus Enki or Marduk may classify as the fist recorded myths. I refer to Tiamat in the first chapter of novel, at present time. Chronologically she seemed a good fit. The Enki and Innana myth has played a part, in my story, for a long time. I added Tiamat in my last draft. Disney’s Pirates of the Caribbean has Naomie Harris playing Tia Dalma, the human embodiment of Calypso. I’m guessing they named the character Tia to allude to Tiamat. (The almost true story of a computer god) Like all men, John Atanasoff dreamed of Wobots. He had to give it a brain. A barmaid served him a beer; he saw, 1+1, the ideal pair. A binary max, the first electronic computer bore fruit in his mind. Coors took credit when they gave him an award, but the barmaid played the muse. Phosphorus is the fire of life and it gave fire to Atanasoff; he had to get away from the fire and brimstone. You see, Atanasoff grew up in the Phosphate Capital of the World; he grew up in Mulberry. Not Opie’s home town; closer to brother Clint‘s neck of the woods. The monument built for Atanasoff stands in Sofia, Bulgaria; his father came from the Yambol province. The Rosicrucian (top right) vision of Sofia; it bears likeness to the Wicca version of she who is Wisdom incarnate. 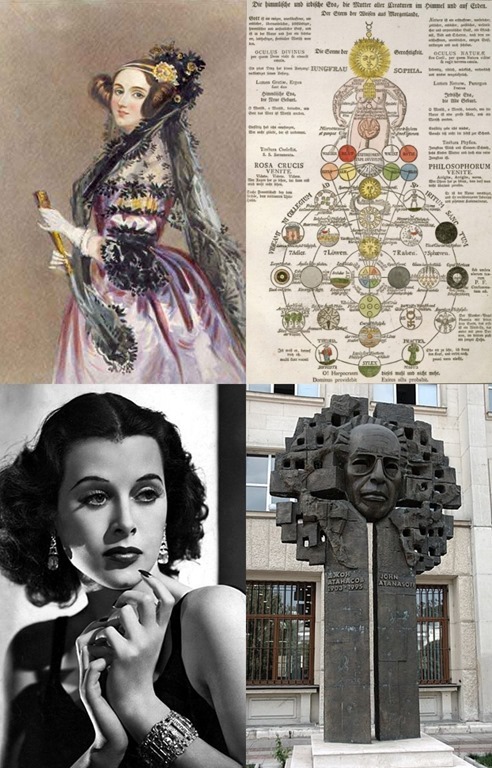 Ada Lovelace (top left) served wisdom to the computer god, Charles Babbage. Like Inanna to Enki. She, too, served a beer. Hedy Lamarr, the frequency hopper, had a hand in Wi-FI. Did she serve a beer? Of course. What did Inanna serve Enki to steal the Mes? Beer. Lovelace and Hedy have deep history, here in Florida. But watch out for when Hooters serves Hecate’s beer. Until then, hoist a beer to Enki, the Geyser God, give hail to the Lizard King , and be wary woe-bots — may await to arise. The flower is very frequently depicted in Egyptian art. It has been depicted in numerous stone carvings and paintings, including the walls of the famous temple of Karnak. It is frequently depicted in connection with “party scenes”, dancing or in significant spiritual / magical rites such as the rite of passage into the afterlife. Nymphaea caerulea was considered extremely significant in Egyptian mythology, since it was said to rise and fall with the sun. Consequently, due to its colourings, it was identified, in some beliefs, as having been the original container, in a similar manner to an egg, of Atum, and in similar beliefs Ra, both solar deities. 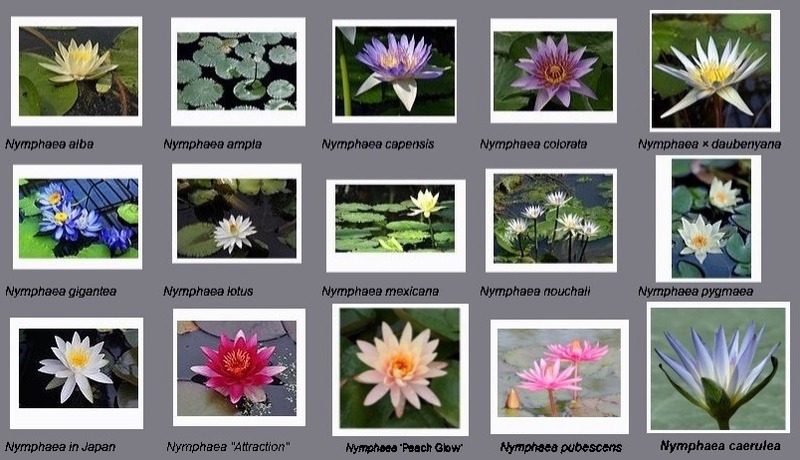 As such, its properties form the origin of the lotus variant of the Ogdoad cosmogeny. It was the symbol of the Egyptian deity Nefertem. Papa parts – padre’s peninsula – father’s fertility – Dis Pater means rich father and his phallus makes Prosperina (Kore / Persephone) bountiful. Vase: Pluto (Dis Pater) holds his horn of cornucopia. Dionysus, the hide the phallus god, also known for his grapes and wine. A satyr holds up drunken Hephaestus and his hammer, Eros plays with his goose down below. See a few euphemisms? You often hear about the triple goddess, but pa plays many roles, too. King Tut’s Pectoral: Ptah, seated on the right, divides into the Greek gods Hephaestus and Pluto (Dis Pater). Creation always has a link to the underworld and nature’s art spills onto the earthly plane. Ptah gives creativity to the king and Sekhmet, the lioness gives power. Osiris becomes Dionysus and the symbol of male fertility; he shows up in euphemistic forms. Apis the bull acts as one aspect of Ptah and often call him a dwarf. The Prajapati in the last image share similar name plus show the power of creativity and fertility. You see an Apis like bull. Dwarfs and bulls often change places. They say the dwarf symbolizes ignorance, but it may have did a polar opposite switch. Hinduism makes calculus look easy. The caste associated with the Prajapati also may have links to Egypt’s Pottery Wheel god. Horned out sailors often see Lay Lady Lay; been there done that. Lorelei, the siren in the rocks becomes the rock. Rocks mean danger, but they often save you. The hymn, “Rock of Ages,” speaks about the salvation in the rocks. You can see rocks as natures monument and they give you landmark when you find yourself lost. See beauty in every rock. Barrier islands like Amelia on the right give us protection from the storm. Mom is a rock, too. Throwing a small rock at a lover’s window means on thing and a big rock means another. Do I throw a rock when I see a rock on a blog? Yes, but I hope it lands soft. I think knowing your rocks is a good thing. Likes may inflate ego, but they don’t inflate talent. Rocks do. They called me Rocky in the Navy, part squirrel and part bashed up boxer. I know my rocks. Medea, the enchantress wears veils. The night goddess, Nyx, dawns her sheerest veil at dawn. Many dance in 7 veils. Maya, the Hindu goddess of illusion makes her magic with them. Even males have veils, see the magic in mushrooms. Do you see how often Illusion makers wear veils? Do you know the where to find the final veil? I allude to the apocalypse. Allusions share much with illusions, both confound. Many great poets and writers throw them like daggers. James Joyce takes your head off in Ulysses. Wilde prefers metaphor, only Salome’s John loses his head. Many Cats like to play get wasted with Old Possum in The Waste Land. My images often show a veiled statement. I’m a pig and I love a Circe in sheer veil. On the far left, you see statue of Medea erected in Batumi, Georgia. Gaston Bussière’s Dance of the seven veils (center). Phallus indusiatus stands proud like Priapus in hunt for Lotis.